Mac users who come from a Windows background frequently want to know what the equivalent to CONTROL + ALT + DELETE sequence is, which allows users to end a stuck program or quit a frozen app. It turns out there are a few ways to end programs on Mac OS X, but there is one Mac keyboard sequence in particular that is most similar to Ctrl+Alt+Del from Windows. That special keystroke is what we’re going to focus on here since it’s the closet equivalent for Mac users coming from the Windows world, with the same type of functionality which allows Mac OS users to end a program process for whatever reason. Hitting Command + Option + Escape on a Mac is basically the same thing as hitting Control + Alt + Delete on a Windows PC. This is the closest single equivalent there is, in that it ends program process whether they are stuck or not, basically forcing them to quit. Next, once you press those keys together, a task manager of sorts will appear. 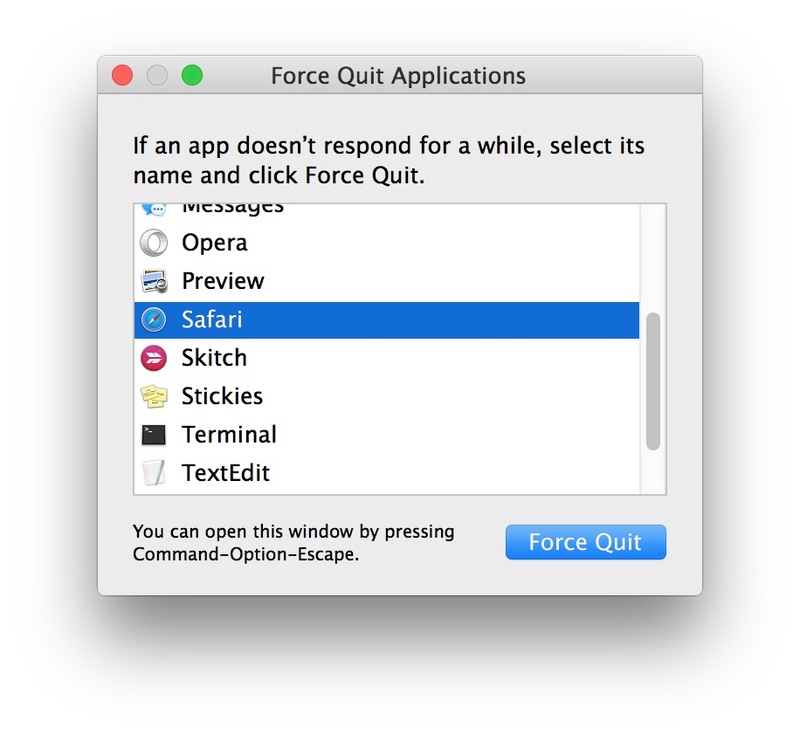 From here, you simply click on a program name then choose “Force Quit”. Then, you then confirm that you want to immediately quit to end that application process instantly. Just like ending a program in Windows, forcing an app to exit on the Mac will take down the app immediately by killing the underlying process, which can end a stuck or frozen app but it typically means any data that is in that application and unsaved becomes lost. Keep in mind the Option key on a Mac is often labeled as “Alt”, so Command + Option / Alt + Escape on Mac is the same thing. This method is really the most basic, but there are other means of getting out of programs and apps on any Mac as well. 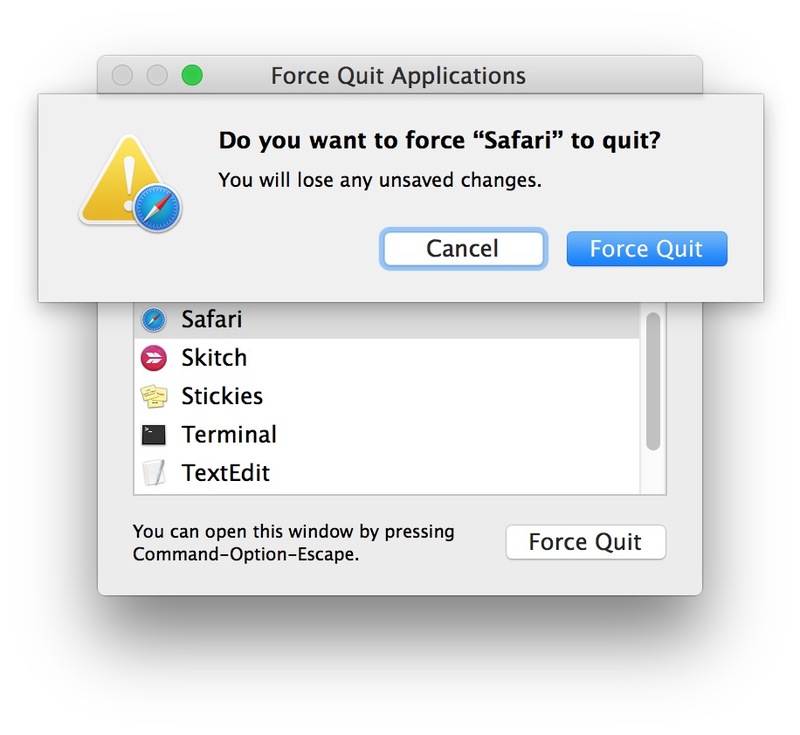 If you’re interested, you can learn every way to force quit Mac apps here, the tips work in all versions of Mac OS system software, including MacOS and Mac OS X. 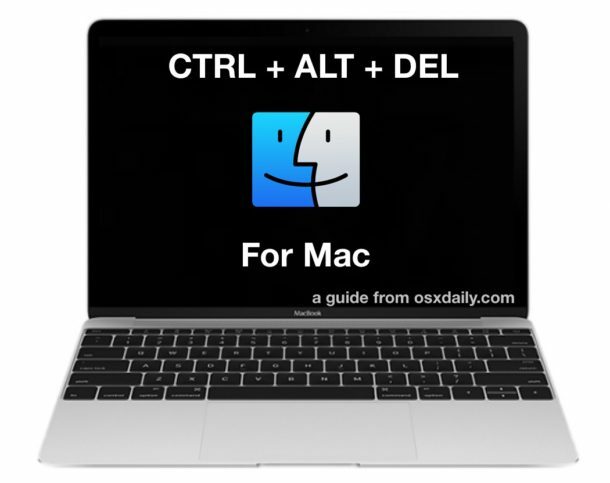 So, the next time you’re wondering, how do you CTRL+ALT+DEL on Mac OS X? Well, just Command+Option+Escape, and there you have it!